Ryan Dull (knee) was activated from the 10-day disabled list and has delivered three scoreless innings in three appearances since. 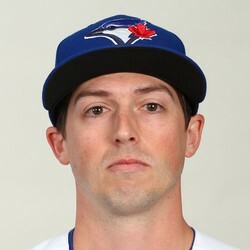 After missing two months with a right knee strain, Dull has pitched 2 2/3 scoreless innings picking up three strikeouts and a hold in the process. He was having a rough year, posting a 6.32 ERA in 18 appearances before going down with the injury, a huge disappointment for the A's and fantasy owners alike after his strong season last year where he posted a 2.42 ERA and shiny 0.87 WHIP in a set-up role for the A's. Still, given the fluidity in the back-end of the A's bullpen (particularly after the departures of Sean Doolittle and Ryan Madson, the release of John Axford and the chaos that is Santiago Casilla) there may be a fantasy-relevant role for Dull down the stretch if he can recapture the form he demonstrated last year.